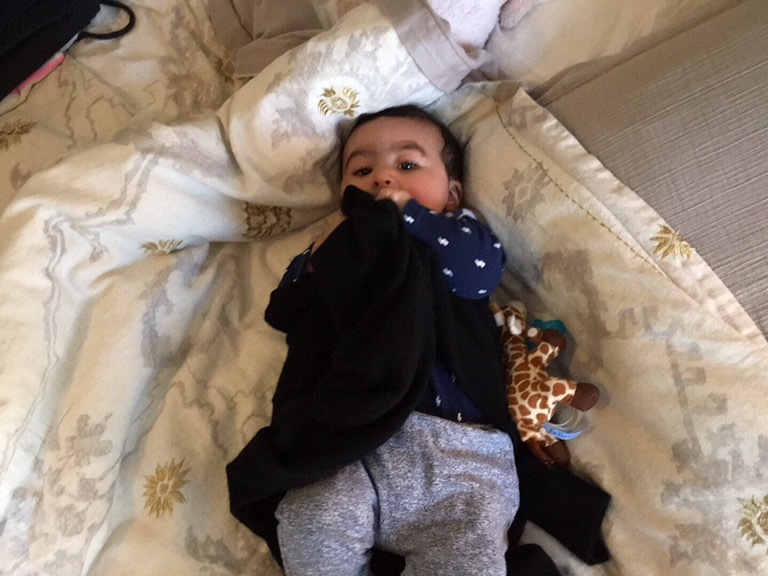 I wrote this post a few weeks after Nora was born – January, 2015. It’s been sitting in my drafts for a couple of years. I still think about its message all the time, but I never posted it. Nora’s third birthday was just two weeks ago, so now seems as good a time as any. Here it is..
I’m happy to report that we had some better news last month – our first daughter, Nora was born on 1/7 – and her arrival gives me a whole new perspective on what I do everyday. The first thing I notice is that things seem *more* important, rather than less, as they did during cancer. You really want to be working on things that you can tell your kids about, and that you can be proud of. I’m really lucky on that score. Hand in hand with this is a greater feeling of responsibility. Higher stakes. You’re no longer just working for yourself. I talk to Nora every night, when she goes to sleep. She can’t understand what I am saying, but I promise her that she can do and accomplish anything she wants in life. That the world is full of endless possibilities for the curious, hard working, and good hearted. Then I got to sleep and remind myself to wake up in the morning so I can work hard to help build a world that will keep that promise. Welcome to the chaos, Nora! Welcone to SF. Just like LA. But nice. When I have quiet moments alone with Peter I like to talk to him about the world, and impart some gentlemanly wisdom that he’ll need for the future. Today’s tip: every man needs a well worn, comfy cashmere sweater, for wear around the house – reading the Sunday paper, for example. I’m happy to report he’s already taken my advice to heart. I was honored by the invite to give a talk at the Post Status Publish conference last Thursday. Thanks again to Krogsgard for the invitation – it was a great event, that I hope was not bogged down too much by a late afternoon discussion of legal issues. My original topic was “WordPress + the Law”, but I changed the title slightly to “WordPress + the Law(suit)”: I used some of the many lawsuits we see against Automattic as examples of the legal issues that hosts, users, developers working with WordPress might see. At the beginning of my talk, I laid out three general principals for dealing with legal threats that we follow at Automattic. Now doing this short follow up post to flesh out those principles a bit more, since a few people asked about them after the talk. Cut Through the Noise, Don’t be Intimidated. We receive a lot of legal threats. Some of them become actual lawsuits, but the vast majority do not. Most legal complaints relate to content that we host, that someone has a problem with. We steadfastly defend our users’ rights, though we do remove things that are truly harmful or not allowed under our user guidelines. Just because a lawyer, or someone who’s willing to invest in hiring one, says that a website should come down does not mean that we automatically do what they say. In many cases, the louder the complaint, the more a site needs to stay up. This is very true in whistleblower situations. TLDR: don’t be intimidated by a lawyer threat letter, do your research, stand your ground. Transparency. We try to provide as much information as possible about the government legal threats we receive, and our guidelines for responding. Check out our Transparency Report, and our Legal Guidelines. I think all companies, hosts especially, should produce these kinds of reports, so users know the volume and kind of government demands a host receives, and how they respond. Individually, this information gives users of a platform comfort that their host has their back. In the aggregate, this data really informs the policy debate about government surveillance and censorship. A Level Playing Field. A golden rule for us is to, at minimum, make the playing field level between our users and those who might have legal complaints about their sites. If there’s a legitimate complaint, we will of course take action – but more often than not, we see deep pocketed platintiffs and big companies make idle threats. On many platforms, they get what they want – the removal of a site or post they don’t like, only because they can bang the table louder than a small individual publisher. We don’t let that happen on WordPress.com. Pushing back on abuse, giving users full transparency about complaints, and being as transparent as possible when we see abuse helps to make it a fair fight for those who put their trust in us as host. Take a look at our Hall of Shame for some of the worst examples of abuse. As our transparency report indicates, copyright and trademark complaints are two fertile grounds for shenanigans. We reject a very high percentage of the complaints we see in this area. I’ve written before about how internet platforms should do more in this area, specifically standing up for users’ fair use rights. A few links and illustrative examples, for my talk. Legal Threats and Transparency: At A8C we try to provide as much information as possible about the government legal threats we receive, and our guidelines for responding. Check out our transparency report. Copyright Infringement: We reject many copyright claims on grounds of fair use (stats are here). We also have guidelines for users (and people who complain) about what fair use is. I wish more platforms stood firm on fair use (many more are now). With regard to code, and the GPL: Wix reminded us to be very mindful of our licenses. Everyone who works with the GPL should know a little about license compatibility – this page is the best resource for that. Trademark Infringement: These can be very ridiculous. Janet Jackson complained about use of her name, in violation of trademark. We were threatened by the most litigious dessert in America. Patent Trolls: A patent on podcasting. Come on. The Truth Hurts: Whistleblower in Ireland (a close call! ), the DCCC leaker on WordPress.com, lots of issues in Turkey. Again, we try to be as transparent as possible – Russia for example. Today, at long last, the .blog domain is live and open for everyone to use. This is my first post to.. theoldfashioned.blog. It’s been a long, interesting, and very educational road – from application, auction, delegation, transfer, and launch of .blog. 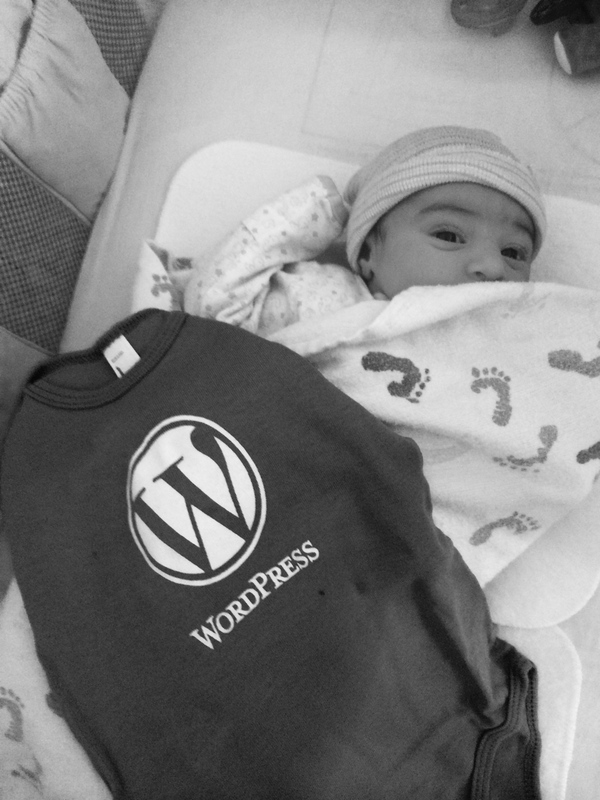 Big kudos to the Automattic (and KKWT!) teams for making it happen, and also to our friends at Fairwinds. Could not have done it without you. Here’s to the success of .blog! If you want your own .blog domain: get them while they’re hot. You can go to get.blog (Automattic’s registrar), or any of the 100s of other registrars that are selling the domain.